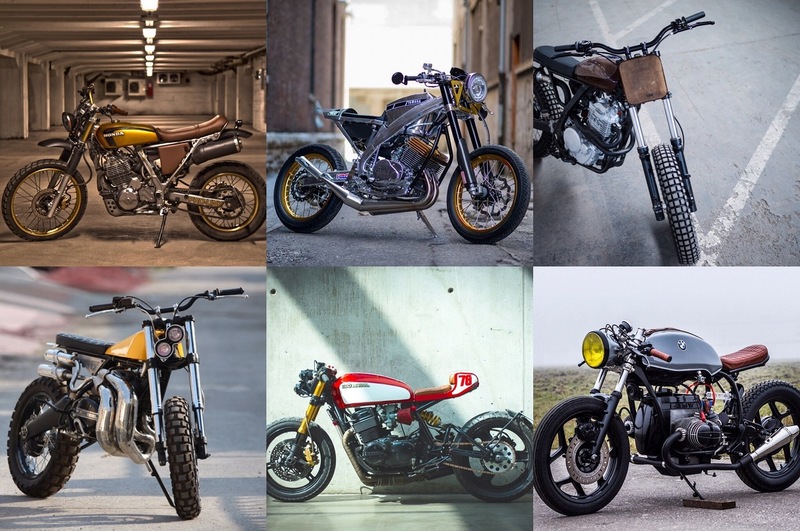 Paul Hutchinson builds custom motorcycles in Melbourne, Australia. He only asks that you don’t call them cafe racers. His first build, a Hornet-orange BMW K100, graced the pages of many of our favorite blogs, including Pipeburn and The Bike Shed. What a start! 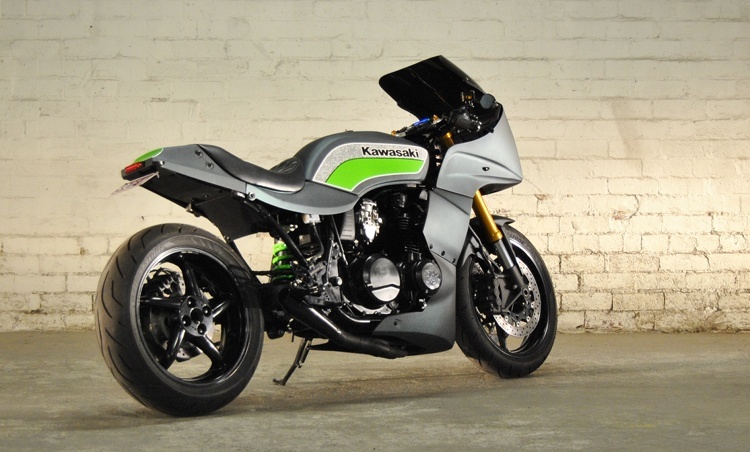 Now Paul is back with another incredible build, which we’re thrilled to feature: “Saki,” a 1983 Kawasaki GPz750. 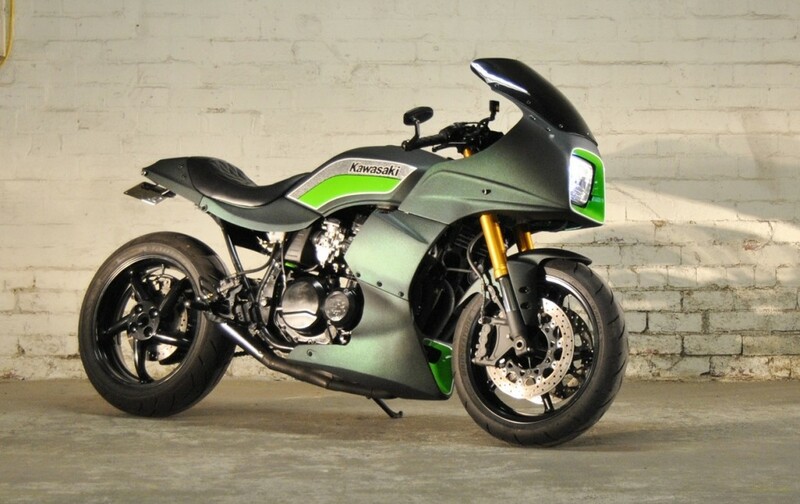 Kawasaki introduced the GPz750 sport bike in 1982. 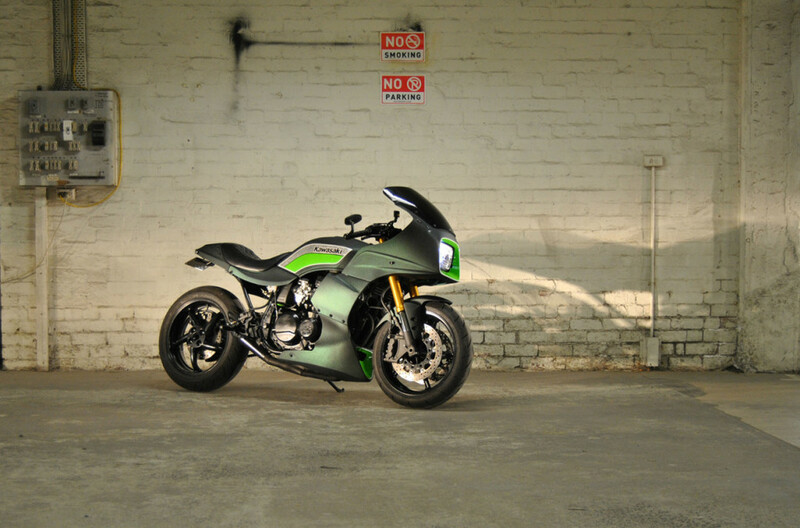 The 80-horsepower air-cooled four pushed the bike through the quarter mile in 11.93 seconds, as tested by Cycle World, making the bike the fastest 750 of the time. 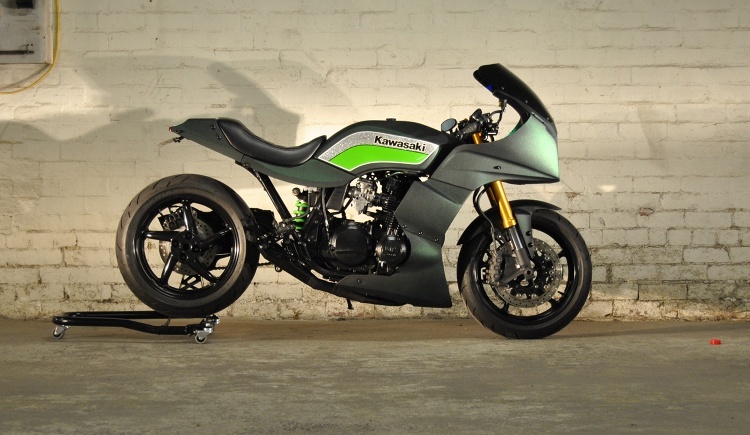 The 750 Turbo would follow a year later, which some would hail as the Fastest Production Motorcycle in the World. As you will see, this particular GPz had lived a hard life since those glory days of old. A “gift” from a cousin, the bike had nearly burned down the man’s house the last time he tried to start it. 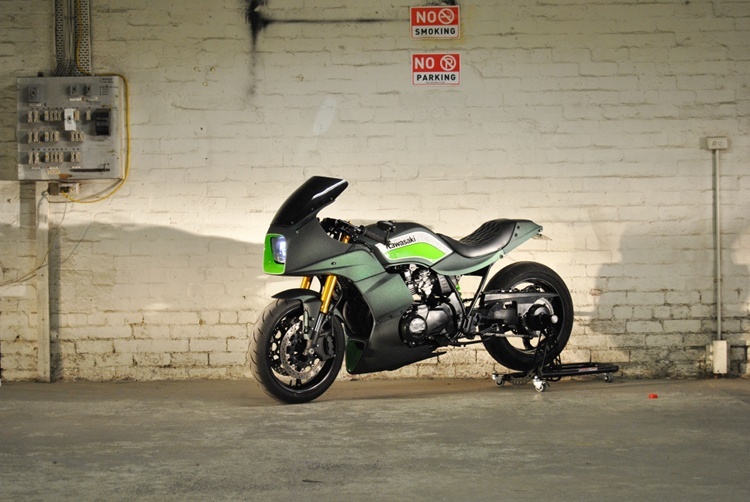 The build would take Paul about a 1.5 years, and we love the way he paid homage to the original styling while updating the bike in a powerful, performance-oriented fashion. It’s a testament to his keen eye and craftsmanship that he was able to retain the stock fairing, lowering and re-angling it to flow with the rest of the bike. 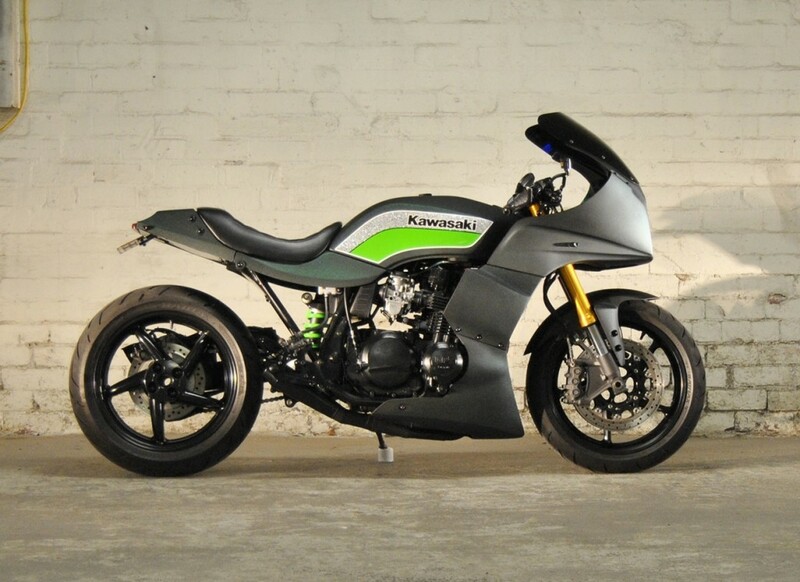 This GPz750 is not a cafe racer. 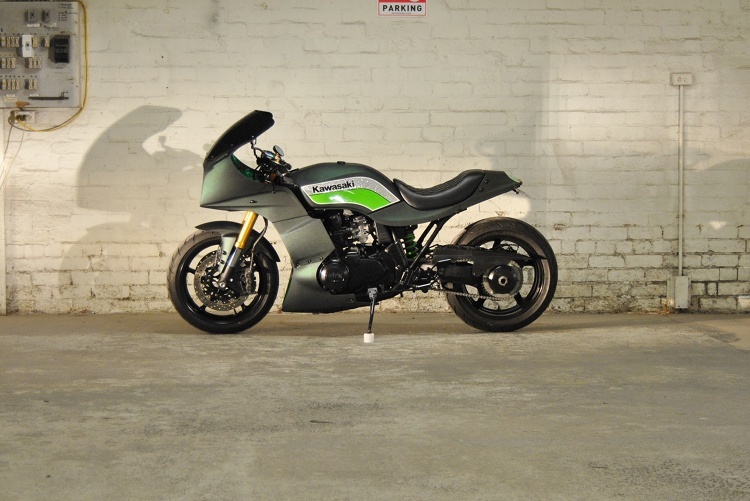 It’s an incredible tribute to the sport bikes of the 80s, built to modern standards of design and performance, and we simply love it. 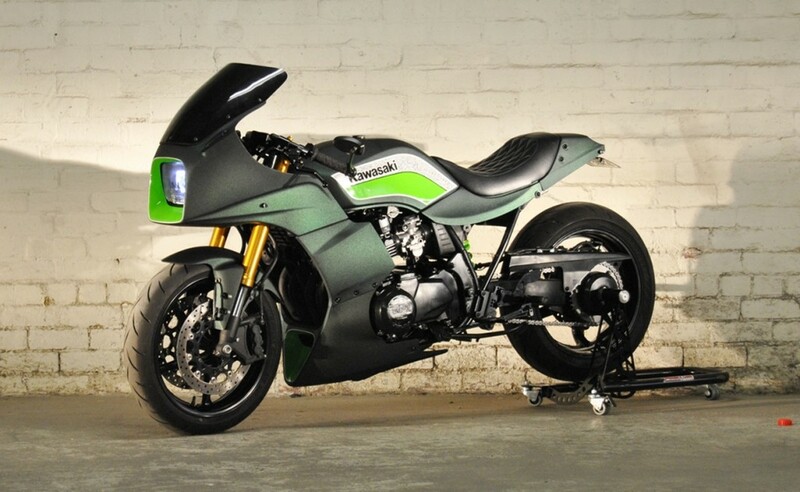 If forced to classify the bike, we would call it a restomod. I have finally finished my second build after 18 months, a 1983 Kawasaki GPz750. It was a gift from my cousin, and hadn’t run for about 8 years. The last time he tried to start it, it nearly burnt down his house when it caught fire! It now has a 1996 Honda VFR750 rear end, and a 2009 Yamaha R1 front end. I did a complete rebuild, with a 810cc big bore kit. 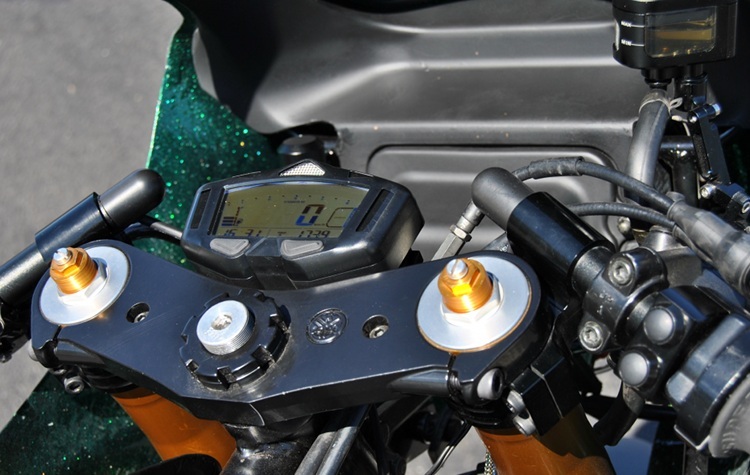 I rewired from scratch using Motogadget gear, including switches, indicators, RFID keyless ignition and alarm, and a Koso speedo. I also mounted a bi-xeon projector beam in the stock headlight. The fairing is the stock item, with filled indicator mounting holes, but I lowered the upper fairing and tilted it forward so the lines of the fairing and tank lines now flow together. 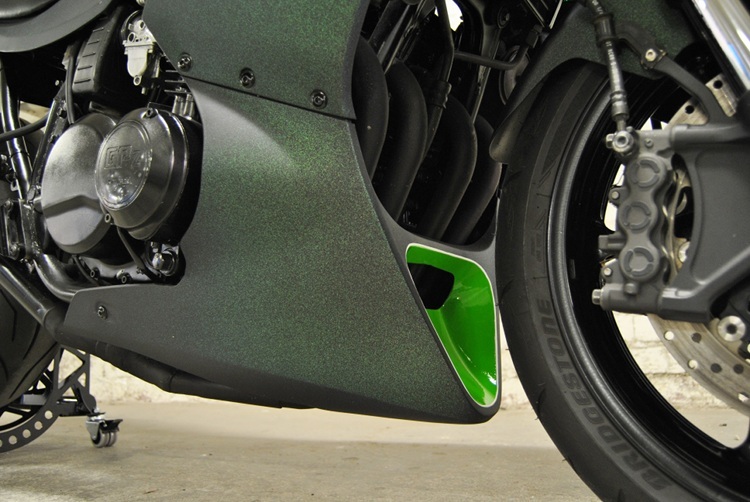 I had to cut and remould the mid fairing panels to align with the belly pan. I loved the rear section, but wanted a single seater, so took about 6 inches out of the subframe. 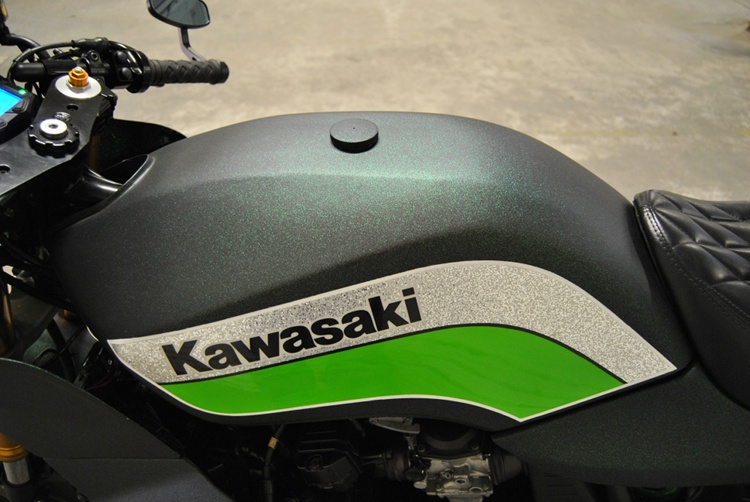 The paint is by Steve May at Lizard Designs, who mixed the Kawasaki racing green with metal flake covered with matte clear. 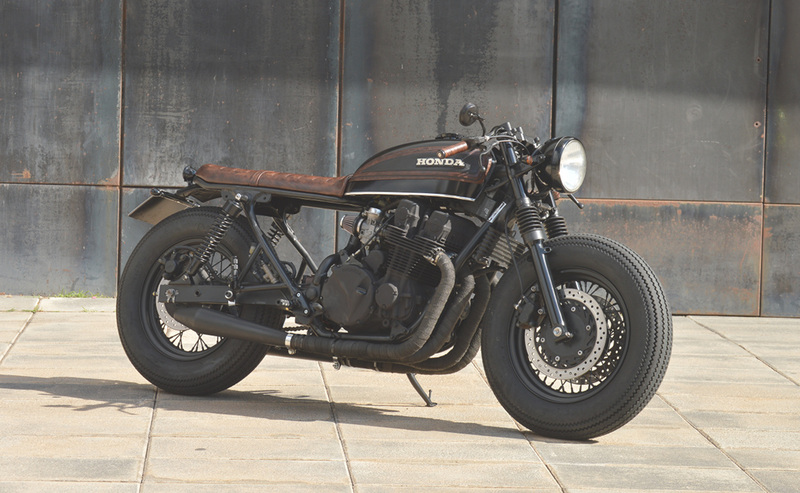 Honda CB750 Nighthawk Cafe Racer by Overbold Motor Co.